Social Photography: My iPhone 4 is killing my Digital Cameras! What these specs don’t show, is the power of the software behind the iPhone 4 and implication of technology on consumer behaviours. There are therefore many more hidden reasons why I am starting to use my iPhone 4 as a daily camera. In short, my iPhone 4 camera is more mobile, instant and social. Actually, I am just starting to experience the real pleasure of been a social photographer. 100% Mobile: my iPhone 4 camera is ALWAYS with me, day and night, at school, at work, in the bus, in the metro. This means, I can take good quality pictures or HD Videos from wherever I am. 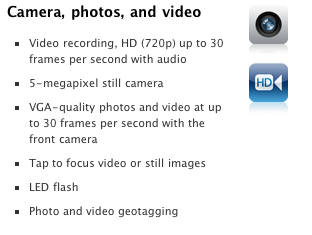 Geolocation: even though “normal” cameras are starting to have geolocation features, still not all of them have them yet. An iPhone has always access to it’s GPS, even when you are abroad without internet access (GPS is not attached to the internet data plan of your carrier and the iPhone still records your coordinates). 100% Instant: The concept of instant camera has return but enhanced. Instant means now that a picture that has been just taken can be exposed to the world practically instantly. It can also be instantly edited, adjusted and cropped. And all these is done directly from the iPhone itself. Even videos can be edited and shared or uploaded to YouTube directly from the iPhone thanks to apps like iMovie. If you have a “normal” camera, you very probably have to go first to your computer, upload them to a photo editing software, etc, and is therefore, much less instant. 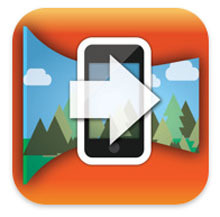 Social: iPhone photos can be instantly shared with friends via email or social networks. Photos can even be shared with the entire world. The fun is not only on the sharing part but also on discovering new and cool pictures from friends or any other stranger in the web. For this you need Apps. One of the trendy and free App I am using is instragr.am, where I can easily add cool filters to my pictures and shared them to people that follow me. People can then “like” or “comment” my pictures. If I get bunch of these, I can even be featured in the “popular” section and be discovered by more persons in the web. From instragr.am my pictures can be “autoposted” to the other social networks of my choice like facebook, twitter, posterous (micro-blogging site), flickr, and even to foursquare if you want to share the location of the picture taken…and hence, receive more “likes” and “comments”. I have been testing this App for about a month and is amazing and fun! I have discovered great pictures as well and because it is connected to my other networks, it is enough to post my picture online once! More social photography apps can be found here. Software. The iPhone 4 is not a telephone, not a camera but a powerful super-mini-computer smaller the size of the palm of your hand! What software can do in so less space is just impressive! Developers are now starting to take advantage of the possibilities the iPhone enable regardings photography as the recent article from the MIT Technology review suggests (in spanish). Thanks to software, you can not only take panoramic or 360º pictures but also SLR-like. How? You take 4 photographs to the same object. First the object you want to photograph, then you take 3 more tilting your iphone in different directions (up, down, left or right). Finally, Apps like Sythncam makes the effect of a blur background! The result is that similar of what you would get if you take the picture with your SLR camera! Of course this works only with non-moving objects, but the technology possibilities to come will surprise us! Apps, Apps, Apps. The last month I have been curious in testing out the most famous camera and video apps for iPhone 4. The most expensive one was about 2€, which makes all these testing less costly =). 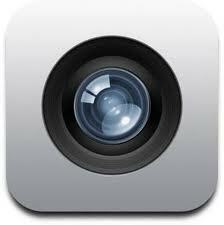 A very good summary about camera apps can be found here. My favoritie ones: Camera+, Pano and 360º for photos and 8mm for video. Check them out and choose which one fits you best! You wont spend more than 2€ per App! So, of course there are also disadvantages to the iPhone 4 camera like the fact that small installed lens will ALWAYS deliver non-optimal photographs, specially with low light. But how many times your really need 100% picture quality as a social photographer? Yes, for a special trip, for a special occasion or event I will still like to take my real camera with me, but these occasions are becoming less frequent now I am a full time dad. I’m just getting tired of carrying my big camera with me. Update 10.03.2011: And if you already have instagr.am you can find my username under: @guerson . I also just discovered instagramers.com a blog “for addicted to Instagram App and other Mobile Photo Apps” created by Philippe Gonzalez. 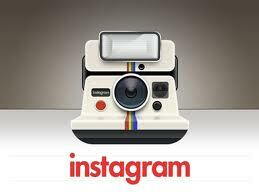 There is now instagramers facebook fan pages for Madrid and Barcelona! amazing! You are currently browsing entries tagged with digital cameras at Guerson Meyer's Blog.